An insulated jacket that isn’t afraid of getting a little wet. Designed and fitted for active use this hooded jacket uses a blend of synthetic insulation and hydrophobic treated down which maintains loft even when soaked through and dries reasonably well. 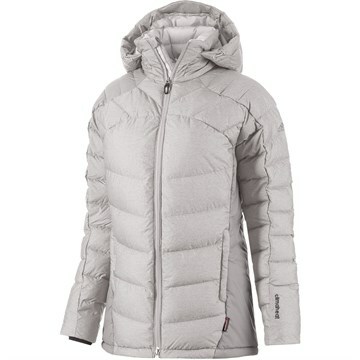 It packs down nicely and would work well as a belay jacket or for active wear in lower temps. 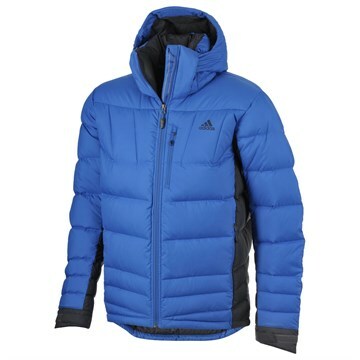 At first glance I was prepared to be underwhelmed by the Adidas Outdoors Terrex Swift Climaheat Frost Jacket as it looked a bit more of a fashionable item than a functional one. Once I tried it on that quickly changed as I began to note features that through testing have proven well thought out and useful. Folded and rolled into the hood it compresses nicely. 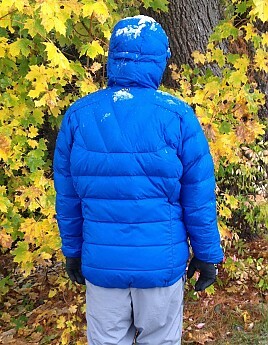 With a 42-inch chest and wide shoulders I selected the test jacket in large as that generally works best for me. One issue I often have is that the sleeves of this sized jacket are too long for me as my wrist to pit length is only 21 inches. On trying this jacket on I noted that the sleeve was allowed to follow my elbow naturally rather than trying to bend at a predetermined point. I also noticed the excess length naturally rolled back inside the cuff completely getting it out of the way. That extra length is enough for me to entirely pull my hand inside, which is a nice way to warm up the fingers. It also is about 6 inches of extra sleeve for longer armed folks, but with this cuff design that wasn’t in my way. 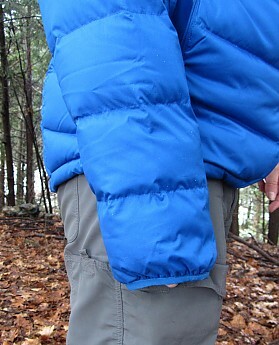 The tail of the jacket extended nicely beyond my waist and remained there even when the gathers were tightened. Keeping the glutes inside and protected from the cold really helps when the wind is blowing I find and a good tail helps keep snow from finding its way toward inner layers as well. 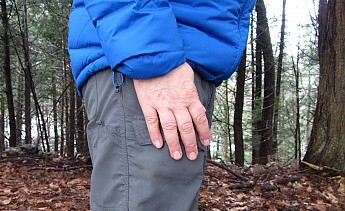 The waist gathers are easy to tighten, even with gloves on. The small black plastic piece helps with grip and to balance the cord tension. 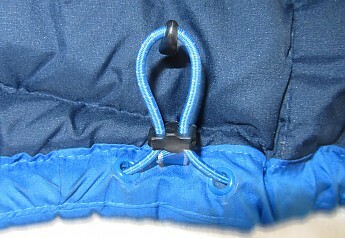 The center loop attachment works to keep the cord from hanging down and also protects the jacket from being stressed by the tightening. 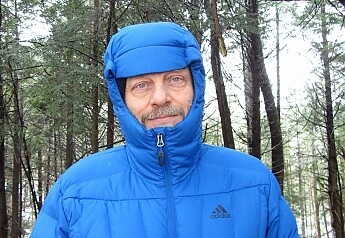 With the hood up and the jacket fully zipped the lower face is completely protected. Even with the zipper partially opened for venting there is still pretty good face protection unless facing directly into the wind. Unlike most hood adjustment systems that tighten around your face this jacket uses a system that tightens around the top of your head like a hatband. I found the system worked quite well with either a heavy knit cap or a beanie, but it was hard to get the hood to work with nothing on my head as it was just too roomy. Once I had it adjusted I didn’t need to make any changes when I took the jacket off. The real joy of this system was the way it worked on the trail. When turning my head the hood followed with me, never blocking my view as hoods often do in that situation. On first look the zipper seemed a bit small for the jacket, but I noted the wide, rear storm flap. Due to the size, getting the zipper started with my big fingers was a bit more of an effort than I prefer. Once connected the zipper pull also seemed a bit small and with anything more than light gloves was a bit hard to grab on to securely. I opted to add an old Coghlan’s safety whistle to the pull which made it much easier to grasp with gloves on and also made it easy to check the temperature on test hikes. Other than being a bit hard to grasp the zipper performed well enough in general test use. I did manage to split the zipper open at one point while getting into a car with the jacket on. Pretty sure I sat on the tail as I got in and the zipper was over torqued as I slid across the seat. In that case I was able to easily back the zipper out, rezip it and all was fine. There was no damage to the zipper and it functioned normally afterwards. Not sure if the goal was to save some weight in this area, but personally I would prefer a more robust closure at the expense of a few grams. 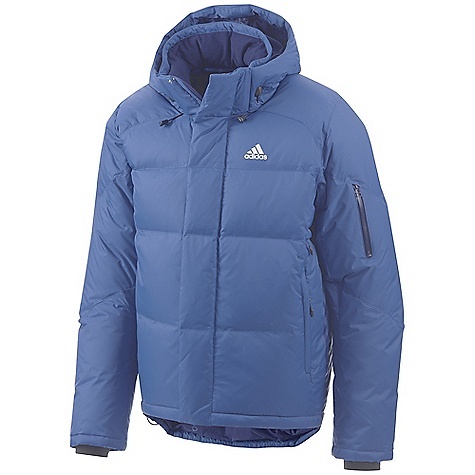 I liked the approach Adidas took in limiting the pockets to just two externals. They are big enough to stash gloves or a camera, but really seemed well designed as a spot to warm up your hands. 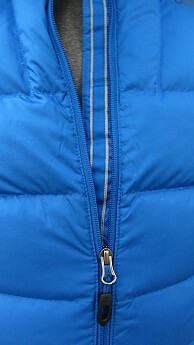 Only a thin layer of material separates the pocket from the interior giving cold fingers good access to body heat with the full insulation layer between hands and the cold. They are a bit low for accessing with a hip belt on at least with my body and packs as the belt partially covers the zipper for me. I’m only average height so taller folks might be in the clear in this area. 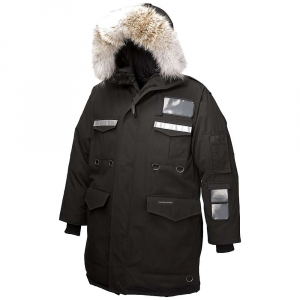 The jacket was used during a two-month period for a total of twelve documented field tests as well as some casual use. Conditions ranged in temperature from 40°f to 6°f with some dry testing but primary focus on rain and wet snow to see how the jacket lived up to the manufacturer’s claims of water resistance and insulation function while wet. Circumstances limited me to only one overnight trip, so most of the focus was on active use. I balanced that out by making a point to do some stand still testing while on day hikes. Tests were all performed with a thin base layer and a light pull over fleece for comparison purposes, with a long sleeve base used for lower temperature tests. While I didn’t have weather to test the manufacturers rating of -30°c (-22°f) by limiting my use of other layers and getting out in temps as low as -14°c I think I was able to get a good handle on what this jacket can do. On all but the coldest test days I found myself ready to start opening the zipper and venting some heat after about 30 minutes of moderate hiking. The ClimaHeat insulation lived up to the limited bulk yet plenty warm claims Adidas makes. Primaloft Down Silver Down Blend (60% Duck Down/40% Primaloft) is designed to stay lofted while wet and dry faster, but it also packs some good insulation capability into low profile baffles. The wet testing was done mostly during wet snow events with temps hovering right around freezing. There was also a heavy rain test done with a 35°f temp. For all but the heavy rain test the water resistant polyester outer held up for about 30 minutes with heavy rain wetting through a bit faster. Other than the heavy rain test loft was hardly changed by taking on moisture and even fully soaked loss of loft was minimal. This ability to retain loft translates to retaining insulation functionality. The jacket dried reasonably well even after being fully soaked. Hanging in the house it was dry by morning after every use. I did test out drying it in the garage overnight during a rain event (high humidity, mid 30s temp) and found it less than completely dry by morning so there are some limitations. Still when compared to standard down it definitely is an improvement. 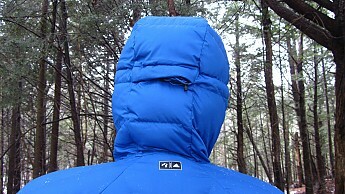 Generally the jacket seemed to handle wind quite well with no flapping or sudden loss of heat when hit by a gust. It did seem that when well dampened strong gusts could be slightly felt, but it is hard to separate physical from psychological sensation in a case like that. The one overnight trip during testing was to an exposed spot on a bluff above the ocean. Evening temps were low 40s dipping to mid 30s by dawn. I found the jacket fine for sitting around for a few hours after dinner watching the moon come up. When I got up to watch the sunrise I noted that it only took a couple of minutes to get the jacket warmed up despite the lack of activity. Other non-active testing was done by introducing timed breaks during day hikes. 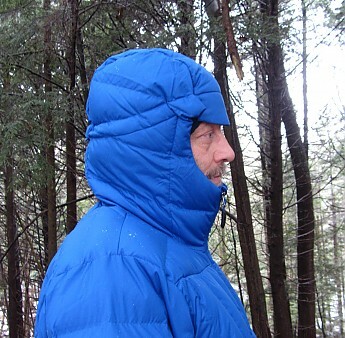 Even with full wind exposure heat was well retained for 10-15 minutes of being stationary leading me to believe that with proper layers this jacket would work well in a winter camp or other times of inactivity. I have seen no wear issues during the test period. Despite numerous intentional soakings the insulation lofts well and the jacket has had no discoloration or odor issues. Other than the one zipper failure incident which left no permanent damage there have been no issues with physical integrity. 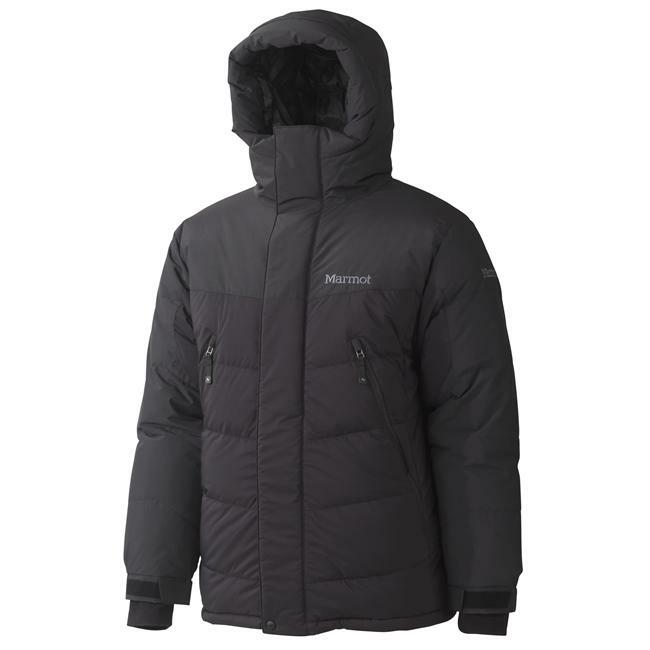 My over all impression of the Adidas Outdoors Terrex Swift Climaheat Frost Jacket is that it is well made from design to construction. 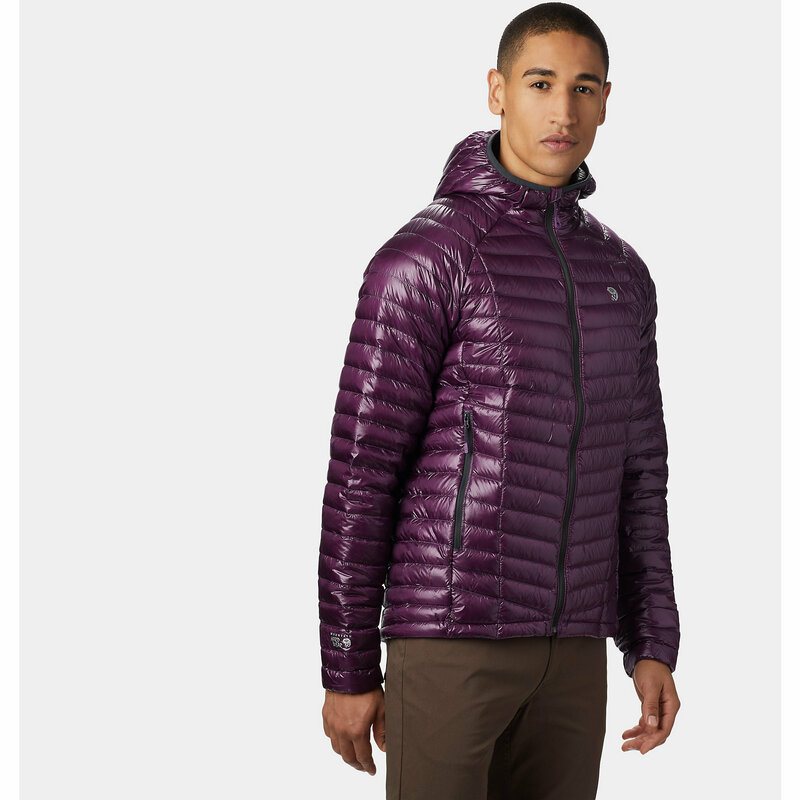 While looking fashionable enough to wear places people might care about that sort of thing it is a genuinely functional insulated jacket. Good warmth without being overly puffy, the ability to shake off a little water and even keep most of its function after taking on a lot of water make it useful in a range of temps. 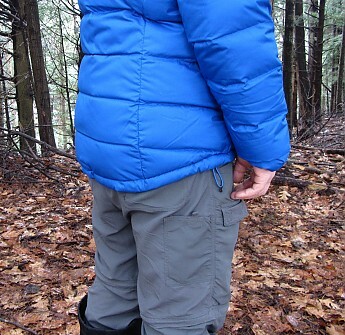 The comfortable fit allows activity as well as room for adding layers making this a jacket I can recommend for both active and casual winter use. Depending on how much heat you generate it may be too much insulation for active use unless it is really cold, but that insulation makes it good in camp or in a belay situation. I hope they will consider using a more robust zipper in future models, both in terms of sturdiness and ease of use for us folks with big fingers. Still I only had the one issue and I’m sold on the rest of this design so I’m comfortable giving it four stars and recommending it for day use, winter camping and as a belay jacket. Nice looking jacket and nice review, Lone Stranger! I'm glad to hear it functioned as well as it looked. I hope you'll keep updated on any future us. Out of curiosity, do you think the zippers would work with mitts or gloves on? The pulls are usable with gloves on, just a bit on the small side which is why I added something to make it easier to grasp. The bigger problem was getting the zipper started. I can do it with light gloves but heavier gloves or mitts are better taken off first otherwise I just have to take them off later heh. 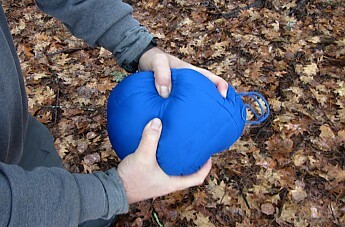 I'll definitely report back after testing in colder temps and on winter overnights if I'm able to keep using it. LOL! You look absolutely miserable in that first pic! It's interesting to see Adidias moving into the outdoor market. Nice review. 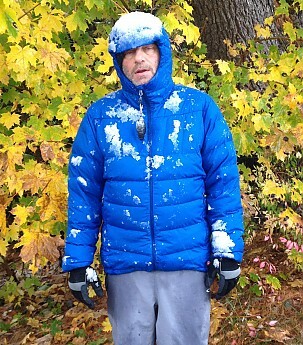 I wasn't feeling as bad as I looked :) That was after about 7 miles of hiking in windy wet snow. I was hungry and thirsty but wanted to get pics of how the loft held up when wet. No one said testing was easy! Nice review LoneStranger, the photos were great and plenty of details. I do like how the jacket tail is cut. Thanks. The longer sleeves is something this lanky, long-armed dude really appreciates. Many sleeves are far too short for me, so it's nice to see this jacket, along with others out there, are now adding length to the sleeves. I like the that tail cut as well. 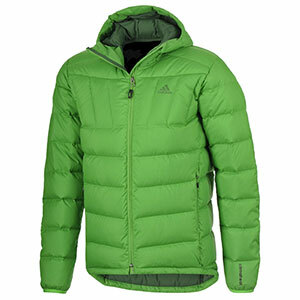 The Adidas Terrex Swift Climaheat Frost Jacket is not available from the stores we monitor. It was last seen April 12, 2017	at Rocky Mountain Trail.